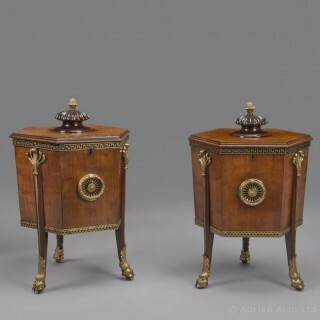 An Unusual and Very Rare Pair of Late George III Gilt-Bronze Mounted Mahogany Wine Coolers or Cellarettes. 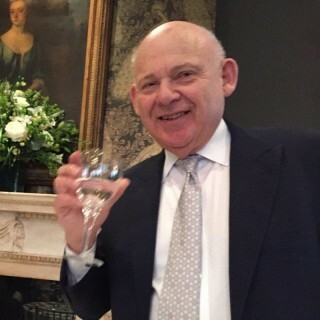 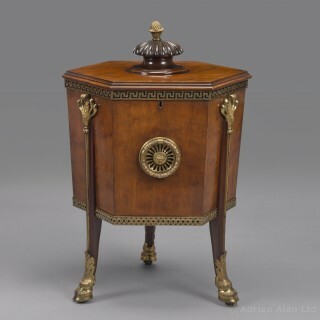 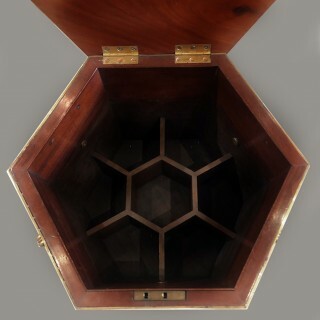 Each having an octagonal hinged top with a central turned gadrooned boss with an acorn finial, opening to an interior fitted with divisions for bottles. 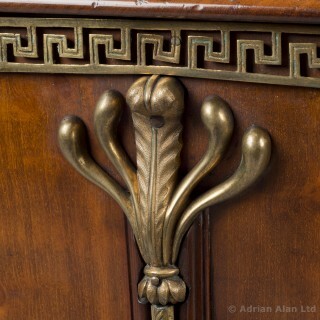 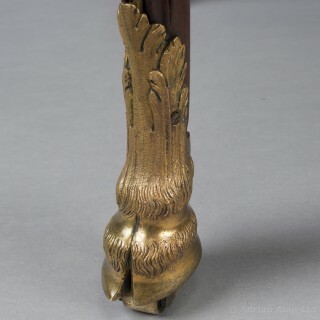 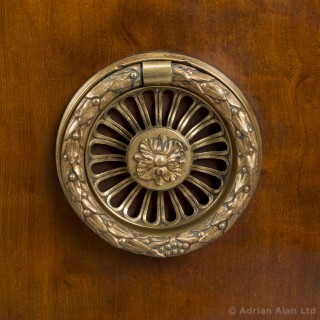 The panelled hexagonal bodies applied with a gilt-bronze Greek-key border to the top and a guilloche running pattern to the base, each fitted with finely cast circular leaf and berry cast handles and raised on three tapering fluted uprights headed by stylised anthemion and put down on hoof cast feet.